Macau’s Secretary for Economy and Finance, Lionel Leong Vai Tac (pictured in a file photo), said on Friday that the local government believes a further increase in the amount of non-gaming attractions offered by the local casino sector can help diversify the source markets for the city’s tourism industry. It could also make the casino industry more sustainable by helping to nurture mass-market gambling, rather than the high-grossing but volatile VIP sort. Mr Leong was speaking to local media on the sidelines of a Friday event. Spending choices made by mass-market consumers visiting Macau were “far more diversified” and sometimes included trips to neighbourhoods outside either the downtown or Cotai districts – something encouraged by the local authorities to spread the city’s visitor load and tourist cash – compared to the spending habits of “VIP clients”, Mr Leong explained. Maria Helena de Senna Fernandes, director of the Macao Government Tourism Office (MGTO), said in May last year she would be pleased if the city’s casino industry could achieve 40 percent non-gaming revenue as a percentage of sector-wide revenue. 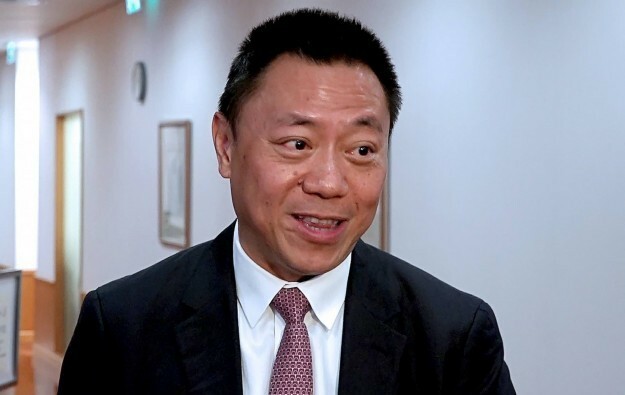 Mr Leong said in his Friday remarks, that the mass gaming segment had also played an increasingly important role in the overall structure of the city’s gross gaming venue (GGR). The mass sort accounted for approximately half the city’s overall gaming revenue for the first two months of this year, as compared to only “20 – 30 percent in the past”, the official said, without specifying a time frame. Such change had brought on a “better” gaming revenue structure, and helps the city to be more “resilient” against economic fluctuations, Mr Leong added. Macau government data reviewed by GGRAsia indicate that in three consecutive years of Macau GGR retreat – from 2014 to 2016 – contraction of the VIP segment made the biggest contribution to the overall decline of the market. During the same period, the proportion of all Macau casino GGR derived from high-roller play diminished. In 2013, VIP baccarat accounted for 66.1 percent of all casino GGR. Since then, the proportion of its annual contribution has shown a general downward trend. Macau’s gross gaming revenue has long been dominated by VIP play, namely VIP baccarat. Mass-market baccarat, the second most popular Macau casino game segment by revenue, saw its share of overall gaming revenue rise from 25.4 percent in 2013 to about 34 percent in 2018, according to the data from casino regulator, the Gaming Inspection and Coordination Bureau. Macau’s casino gross gaming revenue rose by 4.4 percent year-on-year in February, to MOP25.37 billion (US$3.14 billion), according to the latest official data released by the city’s gaming regulator. The latest monthly result puts the market’s accumulated 2019 year-on-year decline at 0.5 percent, or MOP50.31 billion. January casino GGR registered the first year-on-year monthly decline since 2016. A Sunday note from Japanese brokerage Nomura offered an upward adjustment to its estimate of first-quarter Macau GGR. “The midpoint of our estimated range for March puts our first-quarter 2019 estimate at approximately 1 percent year-on-year (positive), which is nearly 500 basis points above the -4 percent (negative) number from our ‘kitchen sink’ scenario back in November,” wrote analysts Harry Curtis, Daniel Adam and Brian Dobson. In his Friday comments, Secretary Leong did not mention a forecast for 2019 gaming revenue as a whole, but said he believed “slight” economic growth for the city was possible. Macau’s gross domestic product (GDP) increased by 4.7 percent year-on-year in real terms for full-year 2018, the second consecutive annual rise. That was boosted by the revenue growth in the city’s gaming industry, the latest official data shows.